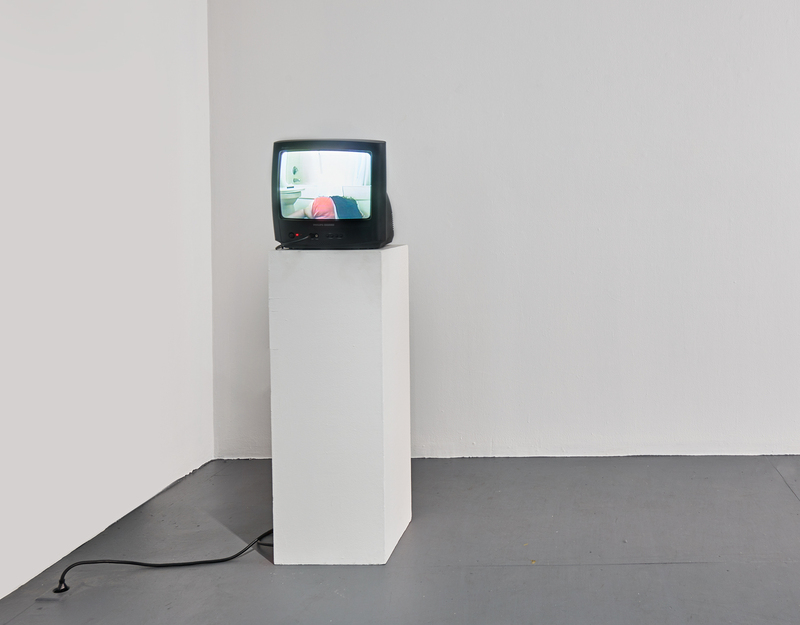 Digital video (VHS transfer) of Untitled [Senior Thesis] (2008), custom variable-speed media player that speeds/slows footage to the duration of any exhibition so that it never loops. In response to the project being censored by Yale University, Shvarts did not show any visual documentation of Untitled [Senior Thesis] for 10 years. It is visible now only through the lens of my other works. Player was shown for the first time at Artspace (New Haven, CT) in 2018 as part of my solo exhibition Off Scene, where the total duration of the work was 1,231 hours.